I’ve been writing Modelland for five years. of getting into the school that creates Intoxibellas. so it’s a total fantasy adventure novel. This is something that I know. I’d write until four o’clock in the morning. I spent so much time in libraries. I look up to Walt Disney. a very very clear objective of what he wanted. I want to make you feel special. SOURCE: “Tyra Banks Reveals Cover of New Novel,” Good Morning America (7/21/2011). IMAGE: Tyra Banks sporting a smize (eyebrow jewelry), xposurephotos.com (July 2011). NOTE FROM THE AUTHOR: It started as a joke, writing collaborative poems about America’s Next Top Model. And then my friends and husband were also jazzed about the idea. So, we’re working on that in our spare time. And I haven’t written so much in ages. It turns out Tyra Banks is my muse. Watching ANTM, and looking at her various projects across the media landscape, it is clear that no one says no to Ty-Ty. And when no one says no to you, you do all kinds of crazy stuff. And all that crazy stuff is pretty compelling, even if it isn’t exactly “successful.” Here, I just tried to stay out of Tyra’s way—as if there is any stopping the woman—and let her manic energy speak for itself. 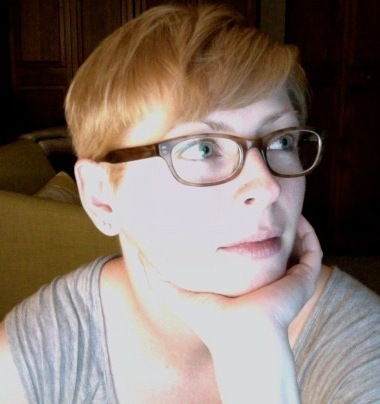 ABOUT THE AUTHOR: Sarah B. Boyle hails from Pittsburgh, Pennsylvania, where she writes and teaches high school English. Her work has appeared in Menacing Hedge, Storyscape, and elsewhere. She has an MFA from Sarah Lawrence College.